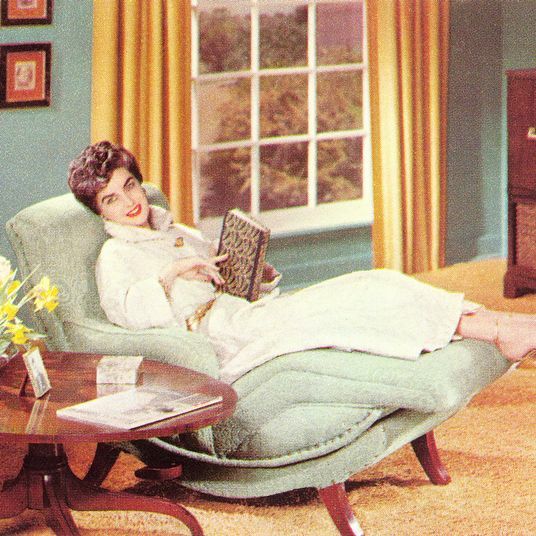 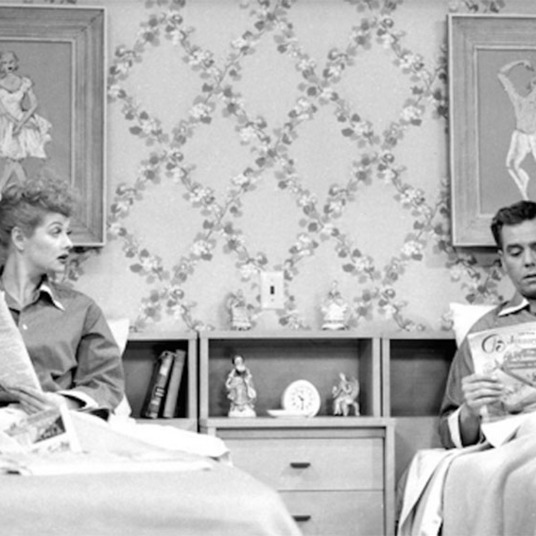 There’s a lot that goes into properly decorating your living room. 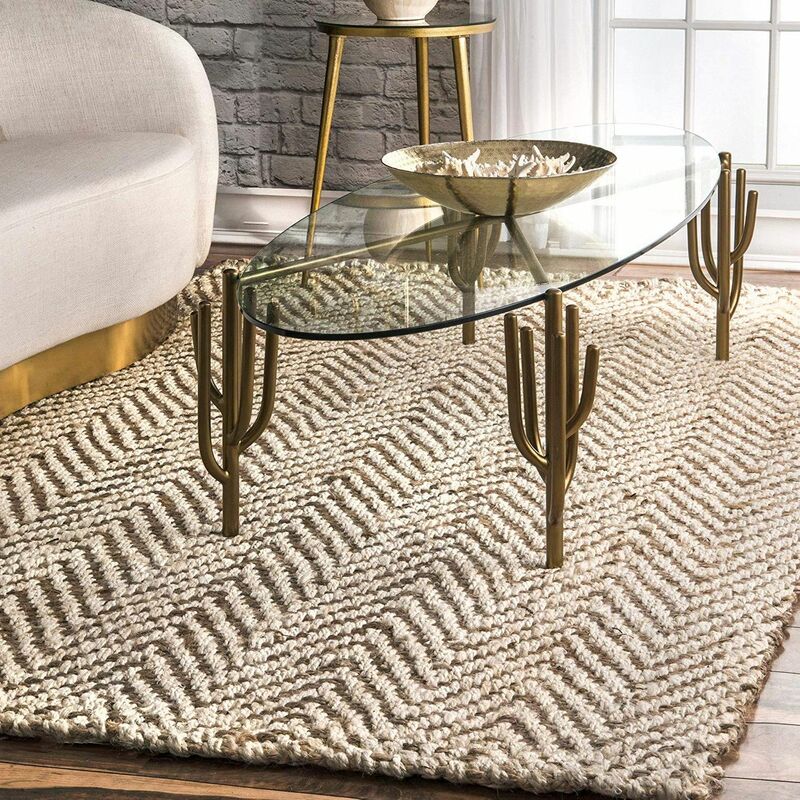 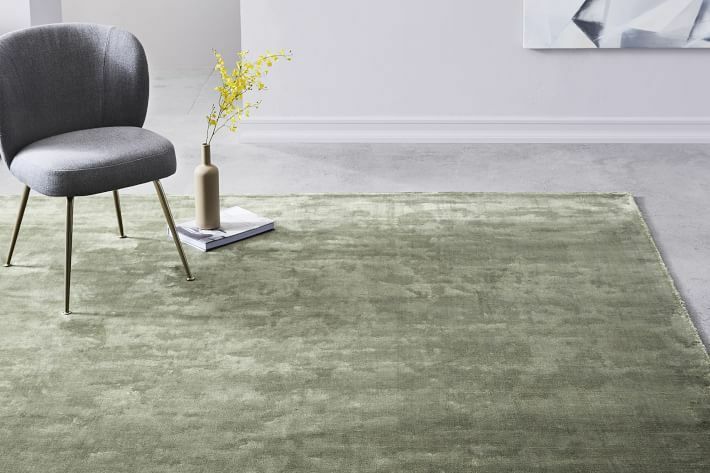 Not only do you need big-ticket items like couches and coffee tables, but you’ll also be looking for more personal touches like rugs and wall art to give the space warmth and comfort. 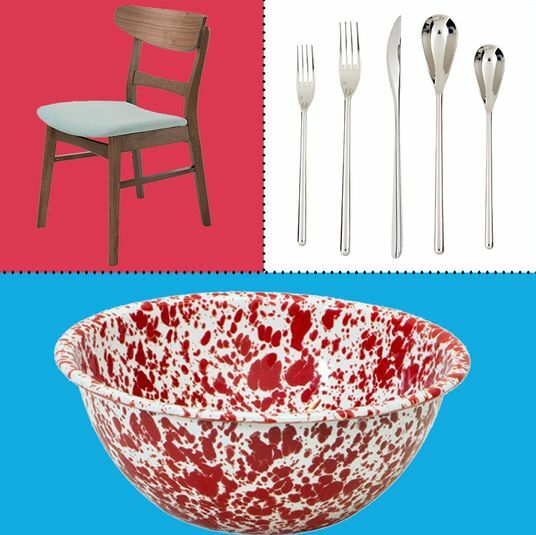 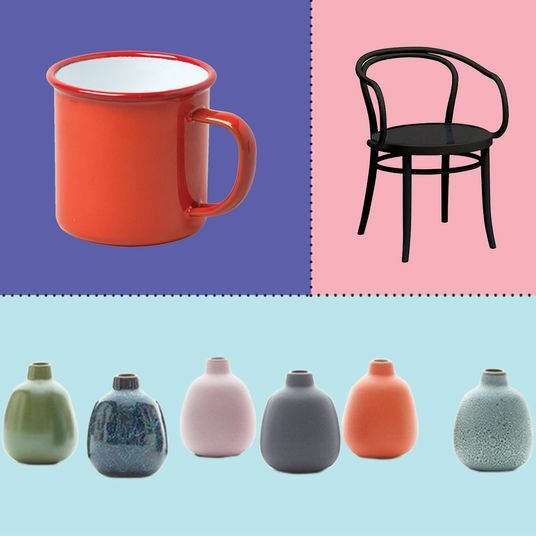 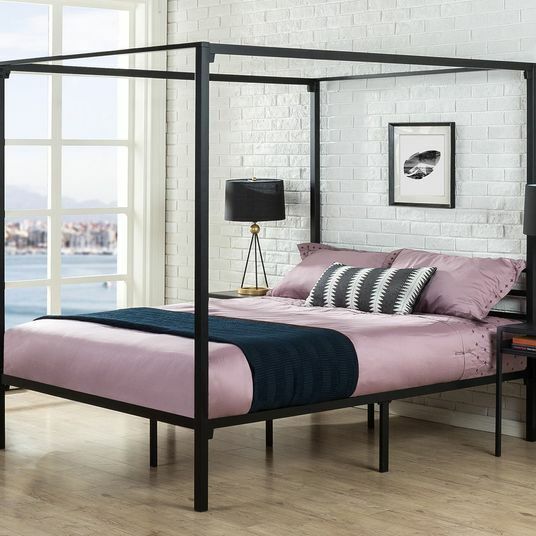 To help us find the best-designed pieces (that aren’t overly expensive), we turned to interior designers for their go-to’s and, with their guidance, selected a few picks of our own. 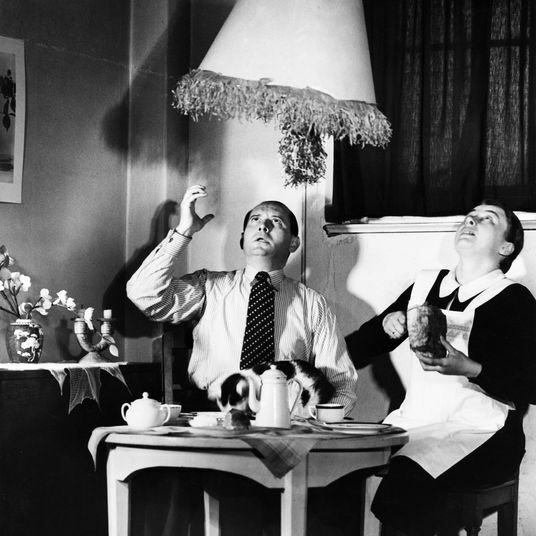 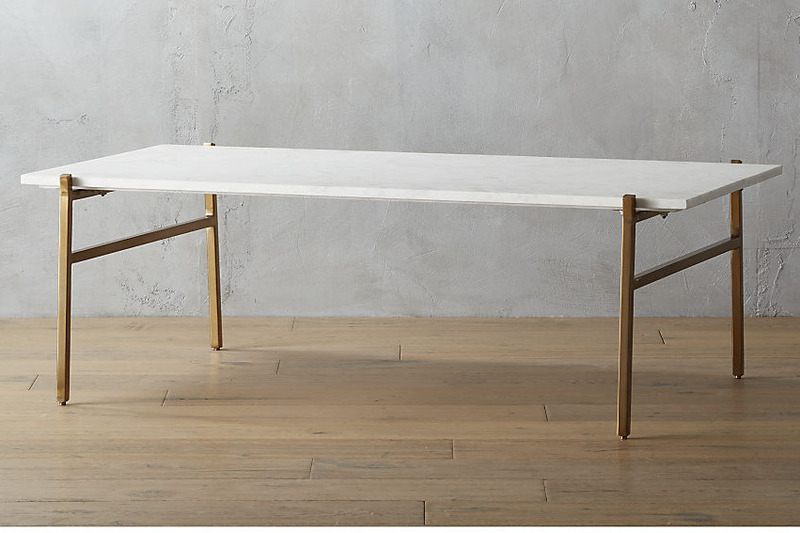 And if you’re looking for lamps, we’ve got you covered with some of our favorites. 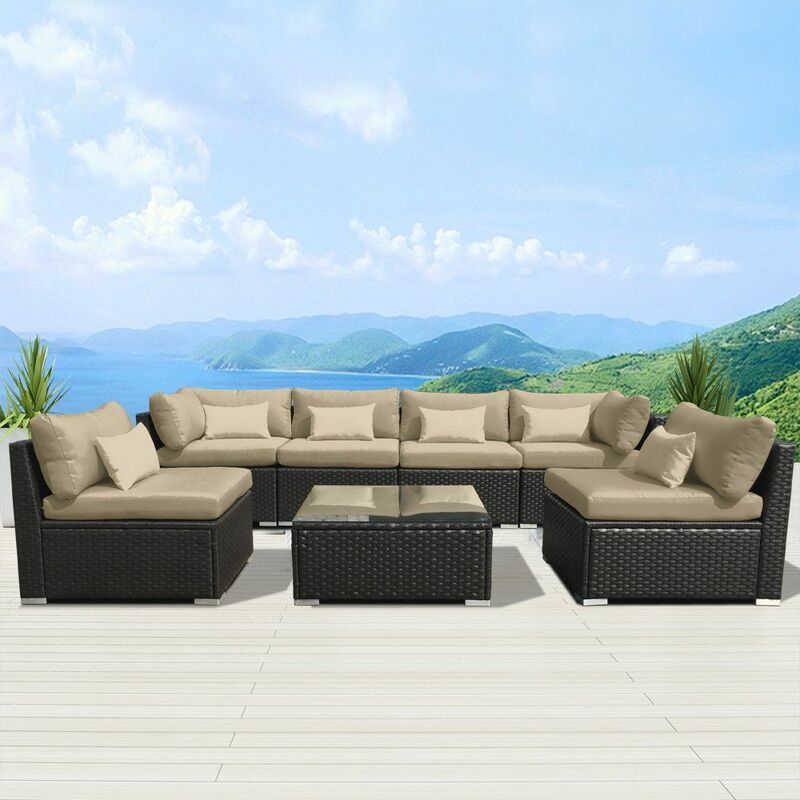 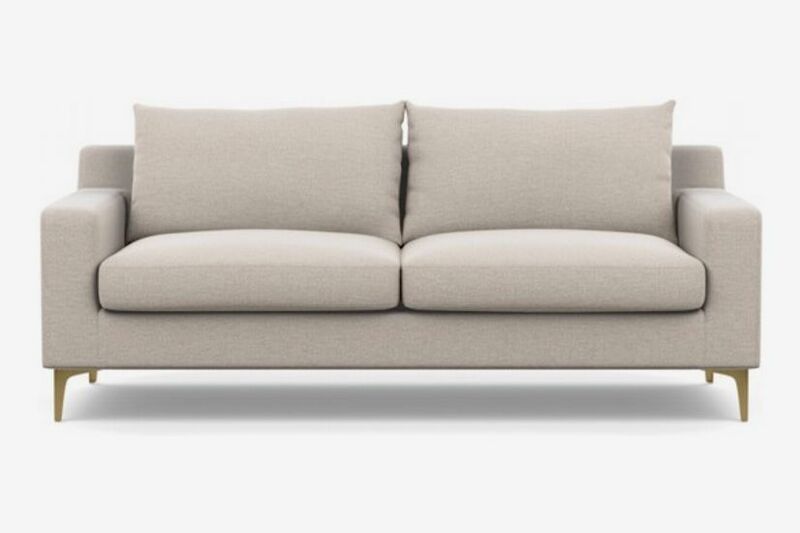 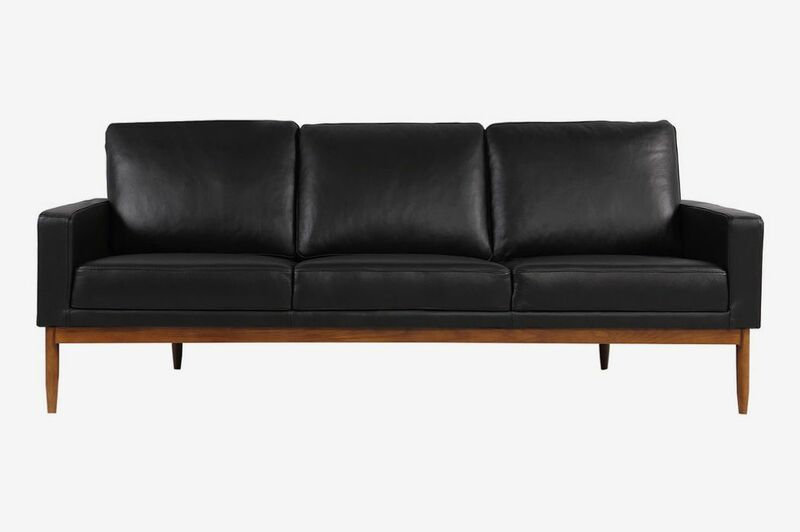 We also like this streamlined leather option from Houzz, which is made from aniline leather with a natural wood base. 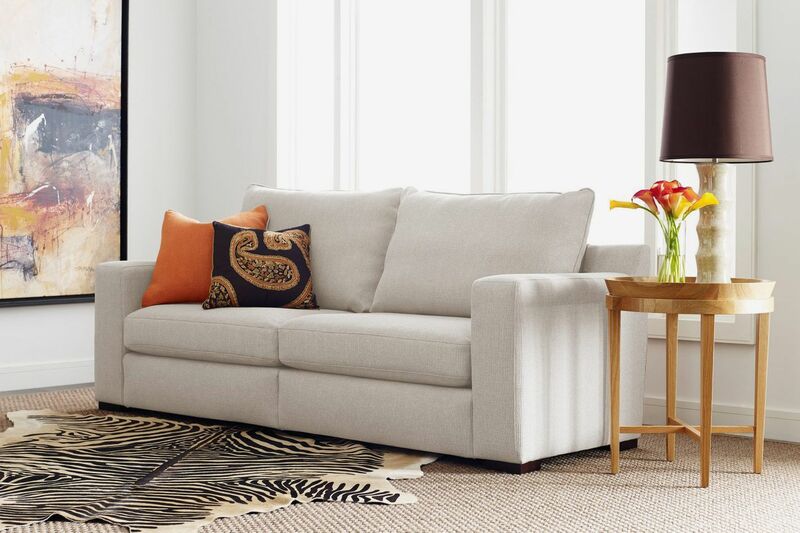 Our budget pick is this Serta sofa featuring a hardwood construction and easy-to clean fabric. 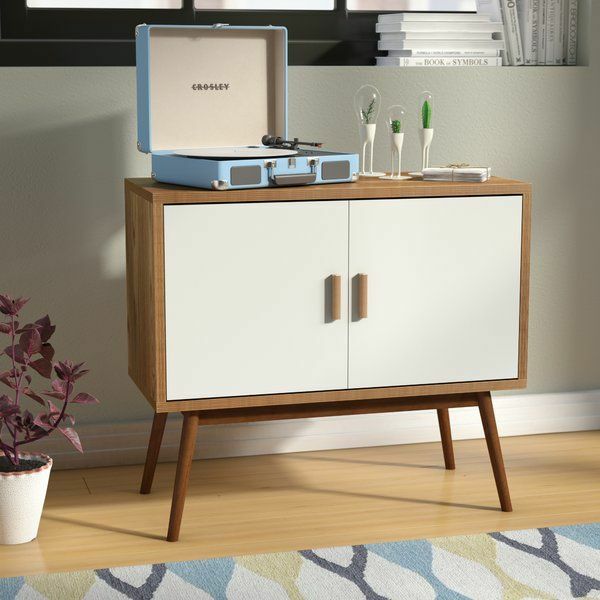 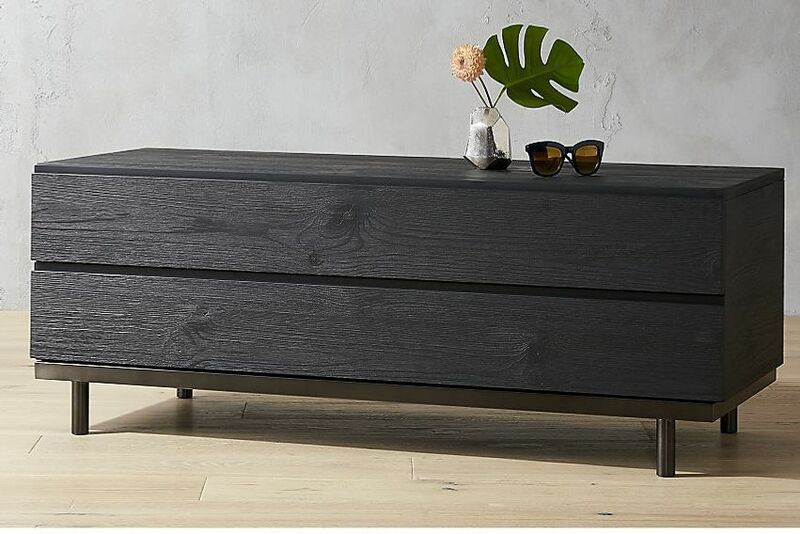 “If you’re a mod customer and are in need of extra storage, this is a great option,” according to Lameraner. 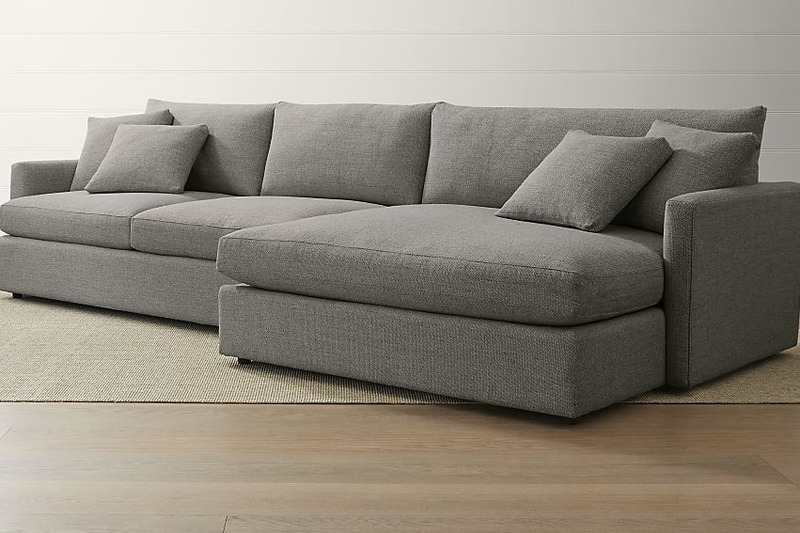 The seat cushions lift up for extra space to store toys and blankets. 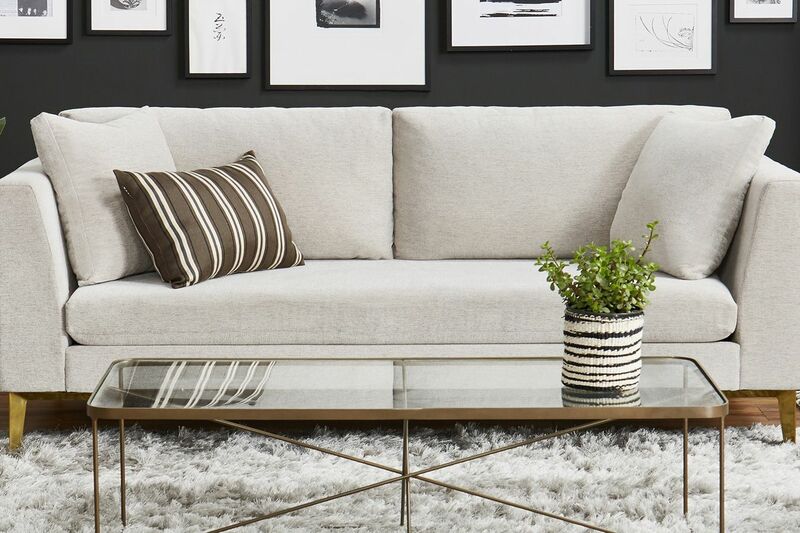 “I’m obsessed with Industry West,” says interior designer Dani Arps. 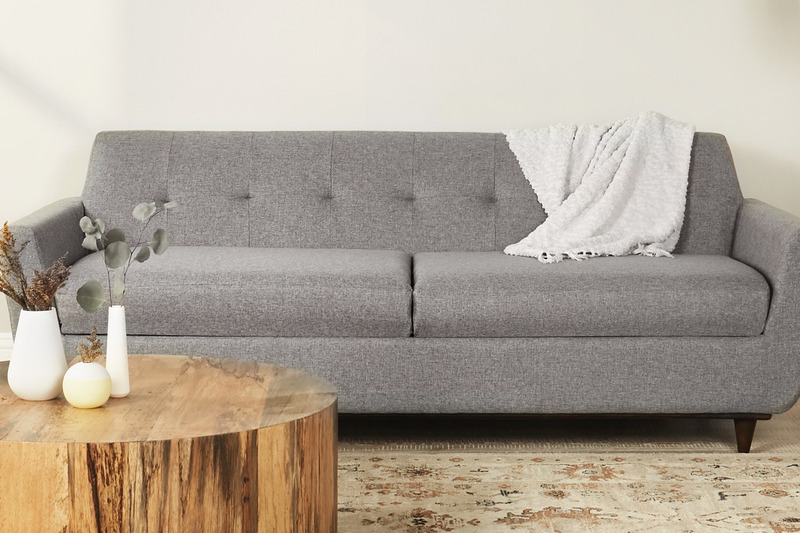 “They have an amazing selection from boutique vendors around the world and their prices are very reasonable.” She recommends this Scandinavian-inspired sofa with a European white oak frame and leather cushions. 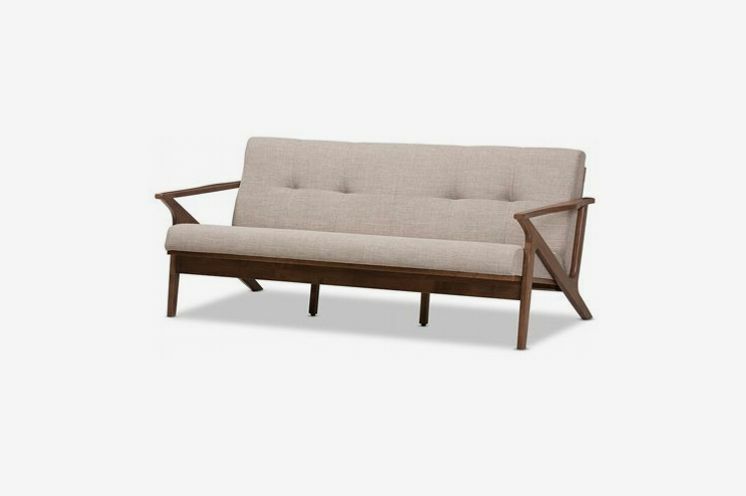 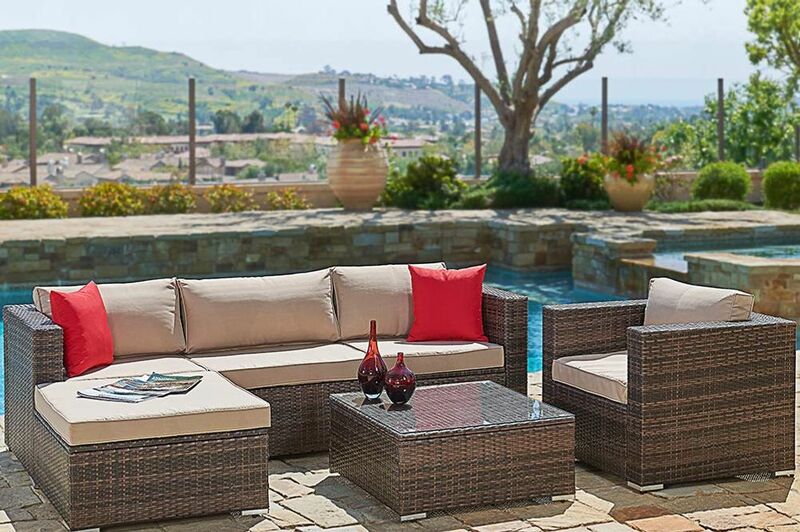 Here’s another Mid-century-inspired design with fabric cushions for a lot less (at well under $1,000). 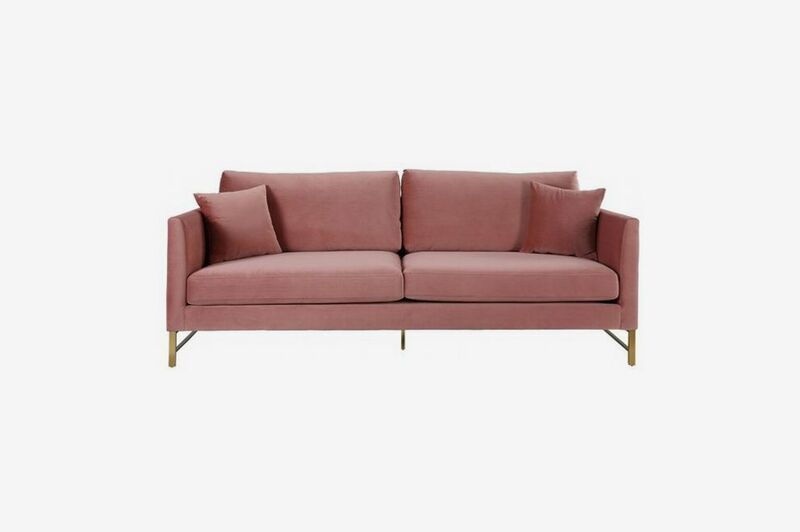 Another pretty pink option in a Mid-century silhouette with golden accents. 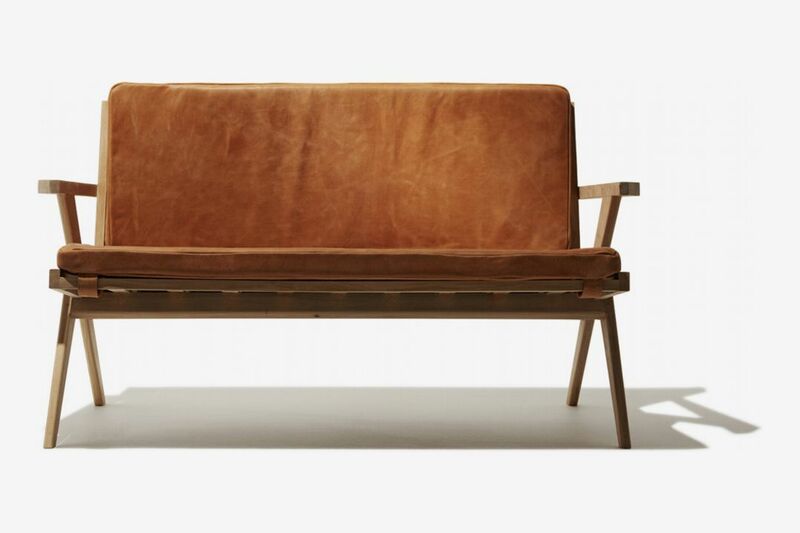 Larisa Barton is also a fan of Interior Define’s couches. 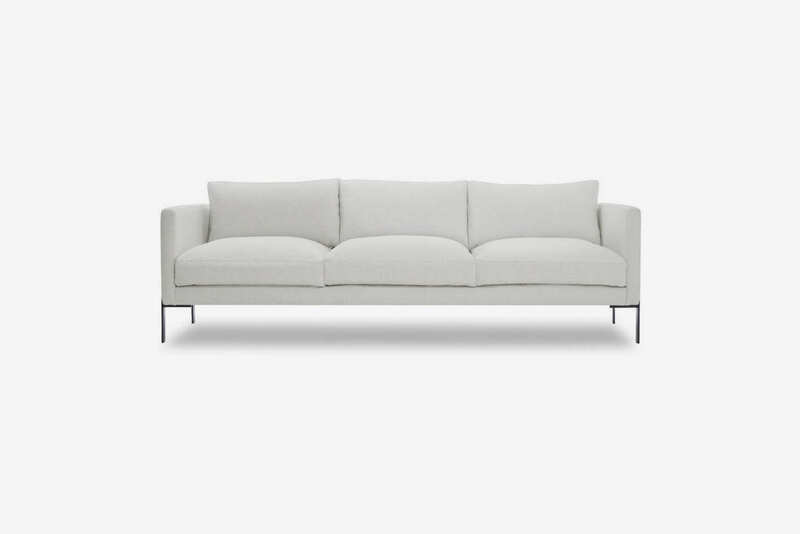 Her top choice is the Jasper, a sectional that comes in a variety of configurations and sizes, with three wood finishes for its base. 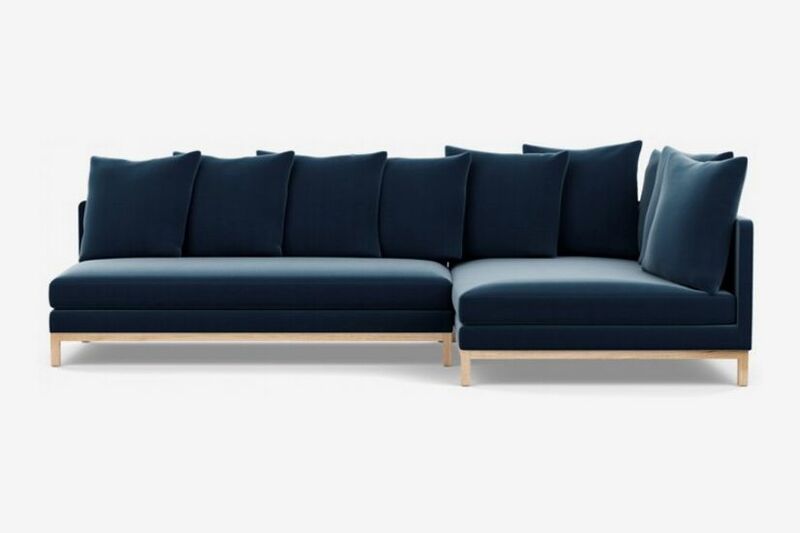 “For people afraid of a sectional being overwhelming, it is perfect,” says Barton. 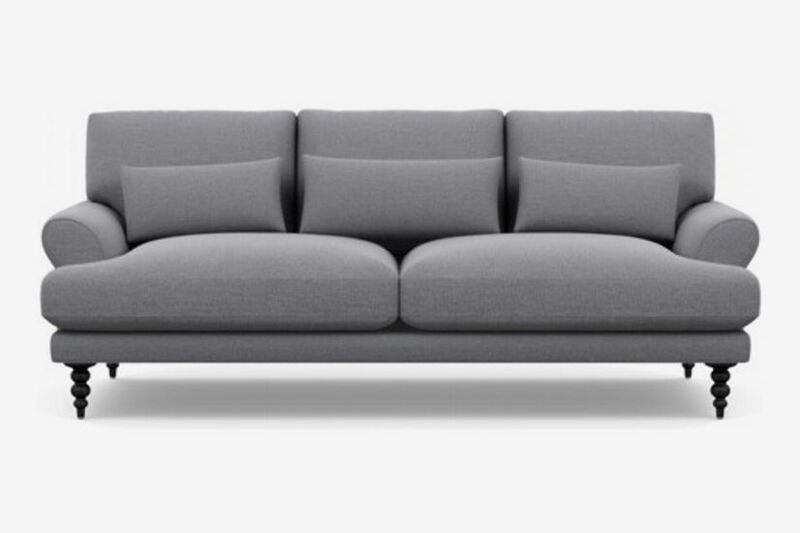 “I recently used TRNK’s Truss Sofa in Clavicle for a project on the Lower East Side,” says Homepolish’s Ashlie Broderic. 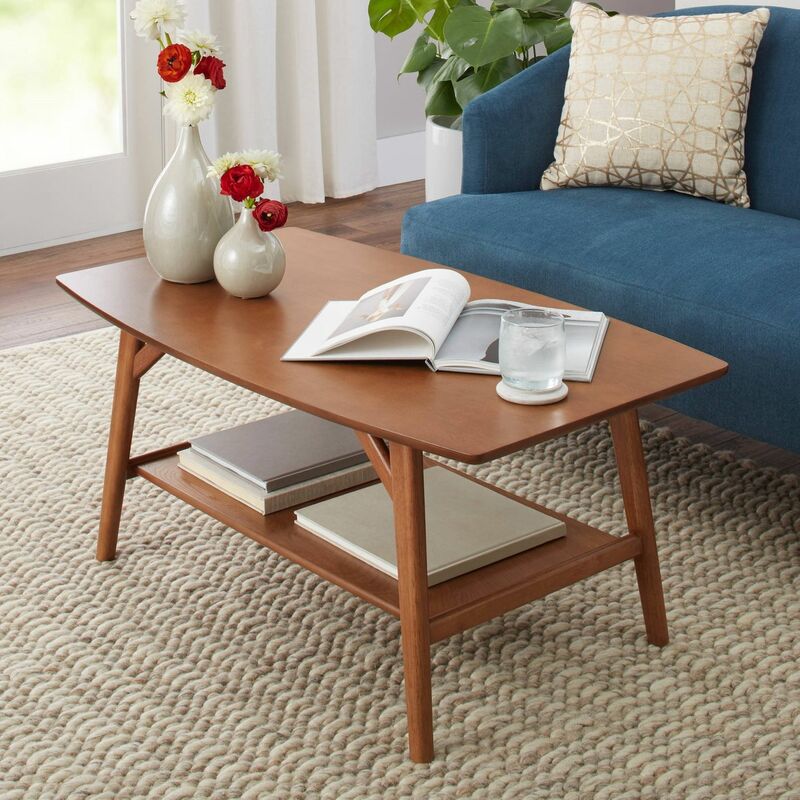 “It is gorgeous and perfectly scaled for an apartment. 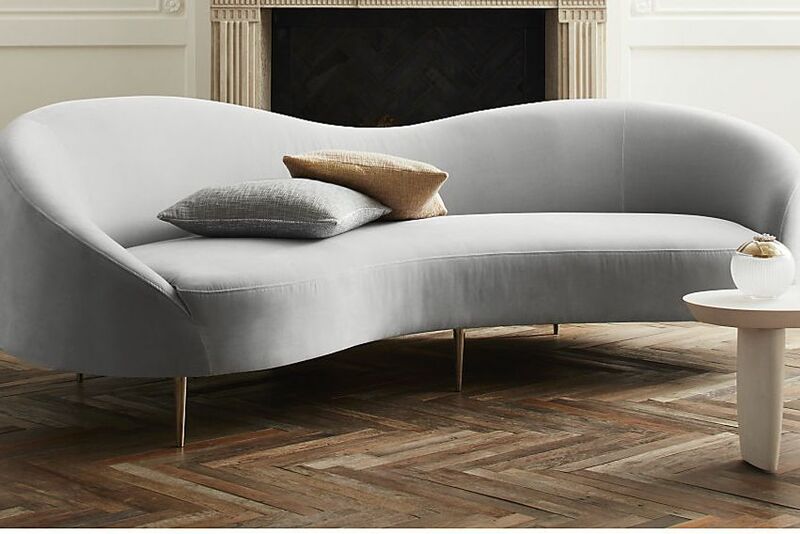 The unique blackened steel legs lift of off the ground and keep it feeling light and airy. 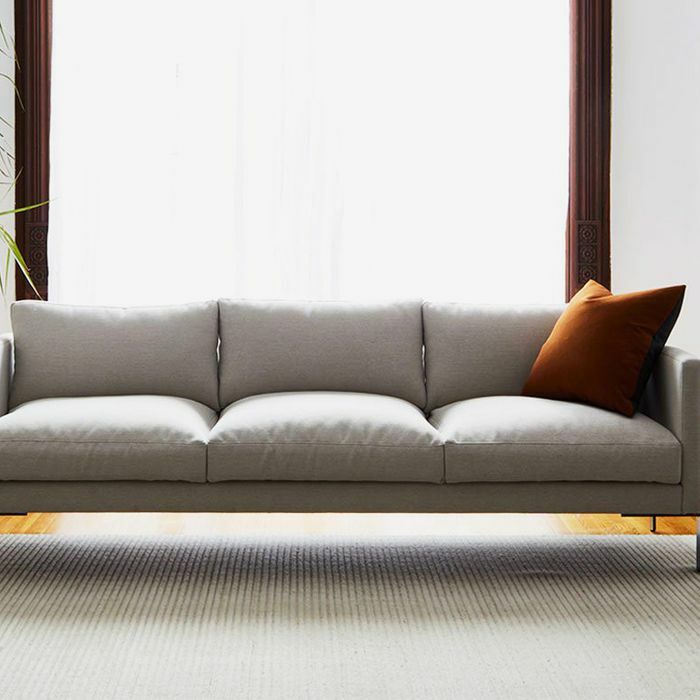 The fabric is commercial grade, so even though it is twice as expensive as something you would purchase at West Elm, it will last twice as long.” Truss is TRNK’s first exclusive, in-house designed collection, and each piece is made-to-order in the U.S.
For more Mid-century-inspired design, Homepolish designer Liz Lipkin recommends the Table table from Design House Stockholm, which she likes “for its clean Scandinavian design — low profile, solid oak legs, lacquered steel top — but it’s also versatile and hardworking when needed.” The tabletop is actually a removable tray and comes in two colors — great for transporting drinks from the kitchen or holding a plant or a stack of books, according to Lipkin. 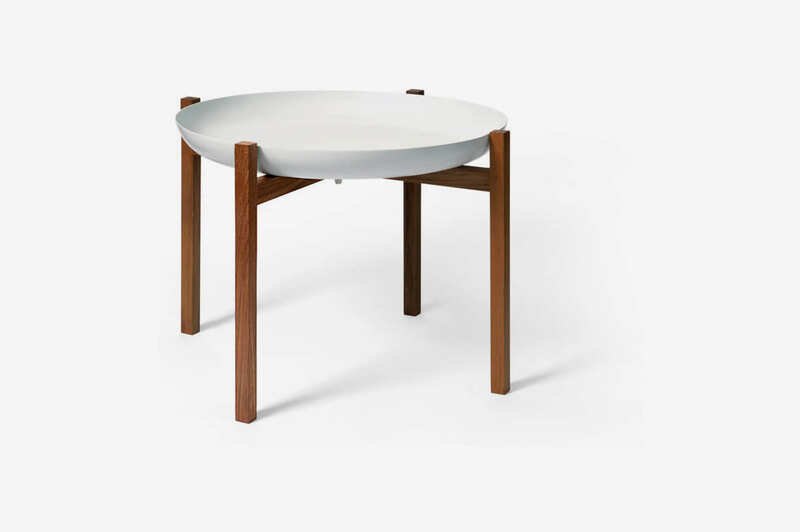 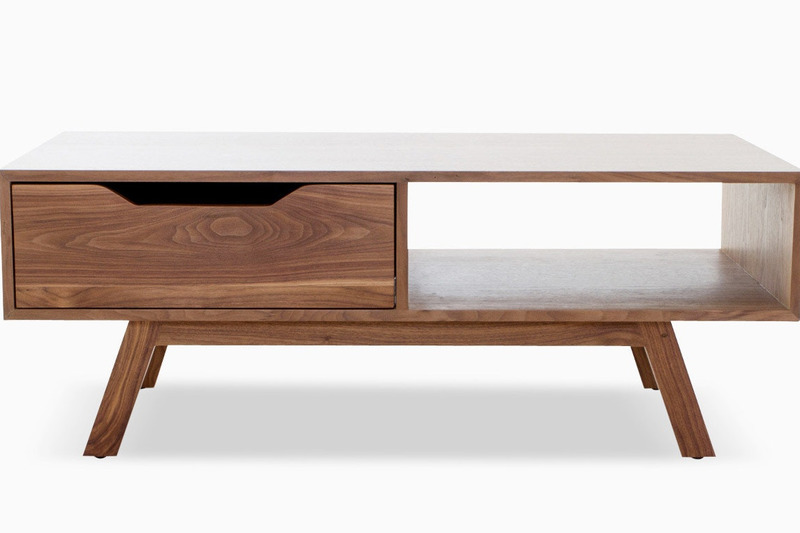 For another simple, Scandinavian-design inspired option, we like this two-tiered wooden table — and its price. 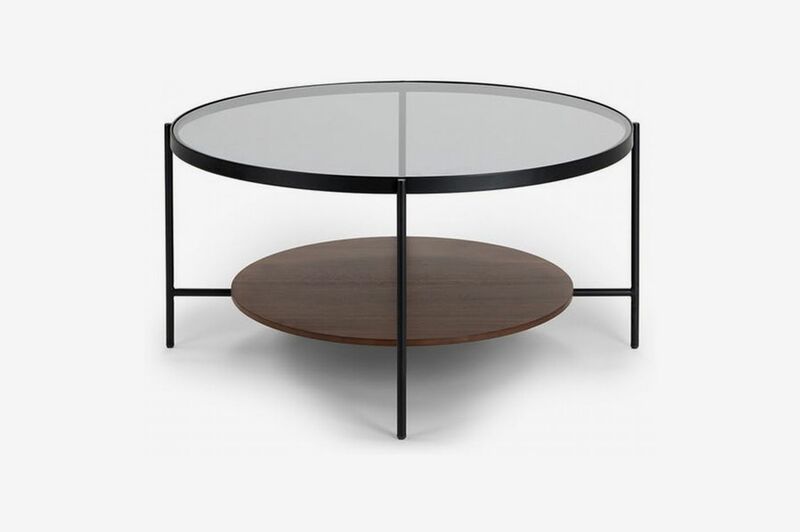 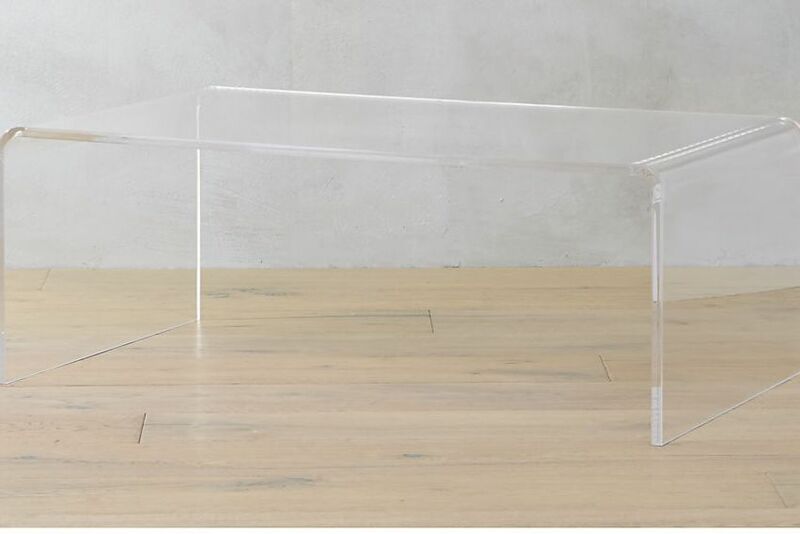 Elyza Brillantes of Havenly recommends this round, smoked-glass coffee table as a good option for tight spaces. 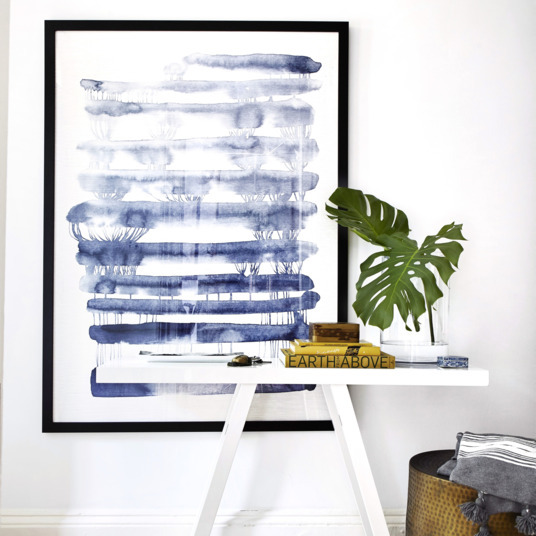 “I love that this can be styled with coffee-table books on the lower shelf that can be seen through the tabletop,” she says. 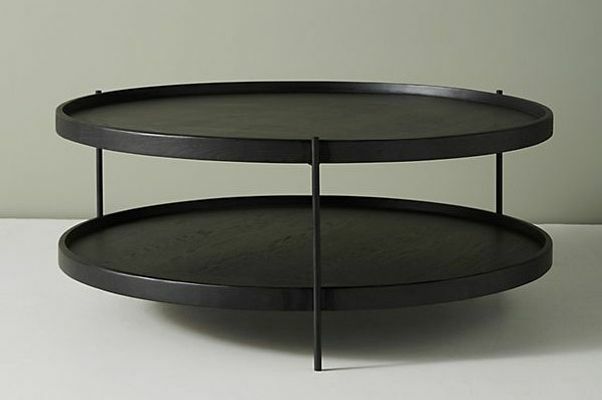 Here’s another tiered option made of oak in a cool all-black finish. 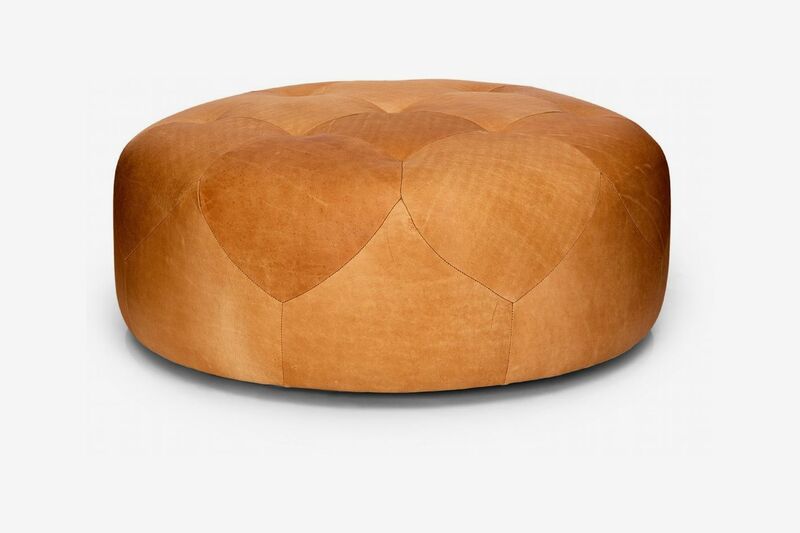 Or go for a leather ottoman, which Homepolish designer Tali Roth recommends: “It’s a great way to get leather into your space,” she says. 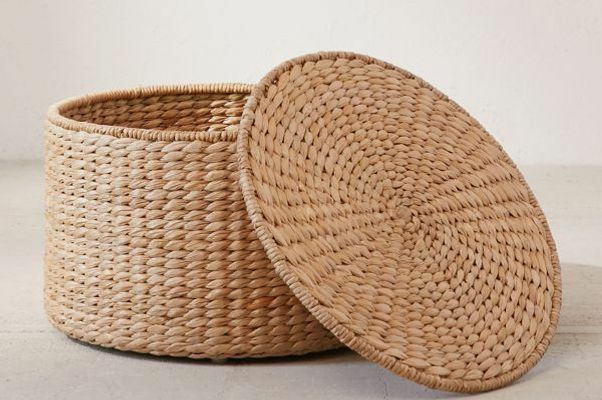 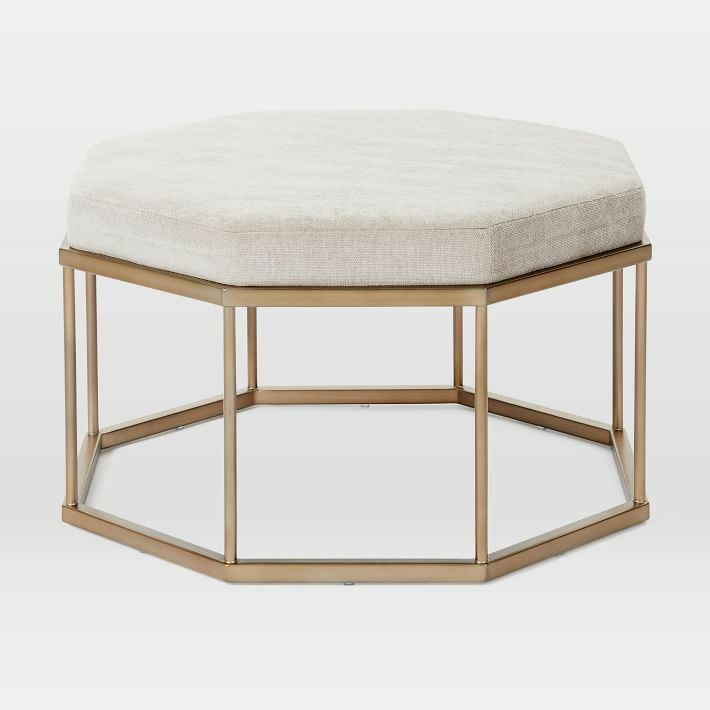 This woven ottoman doubles as storage and would be great for small spaces. 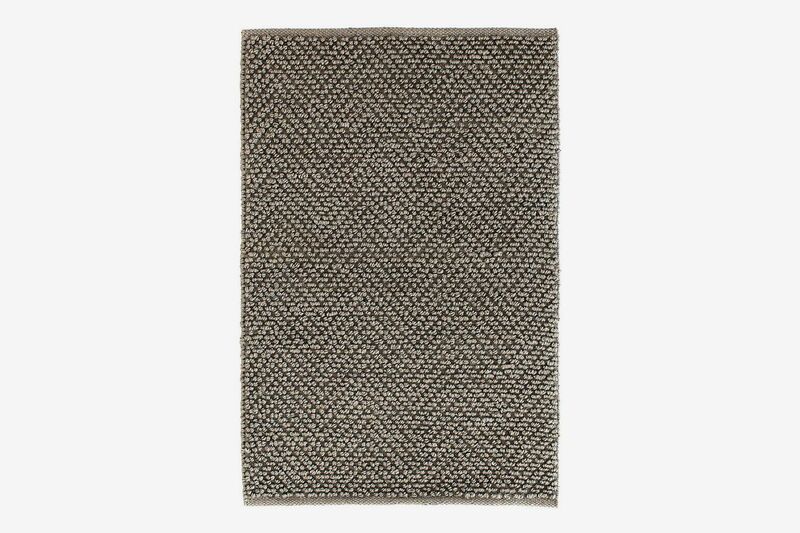 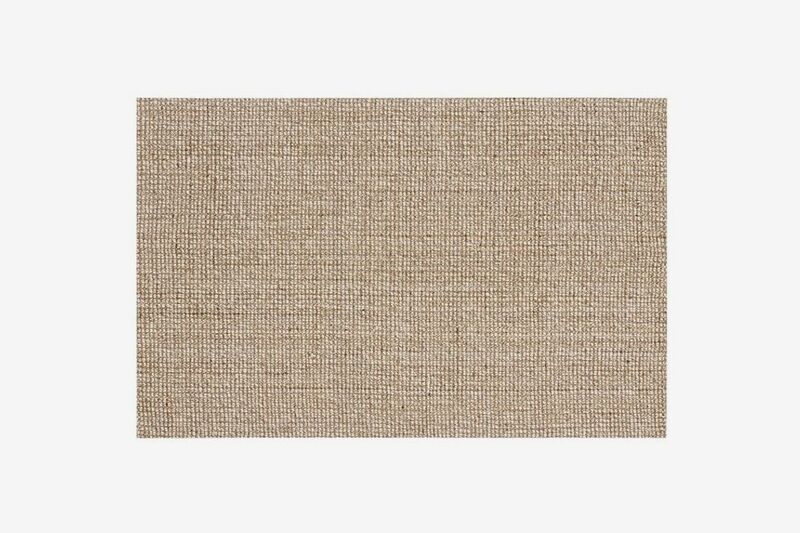 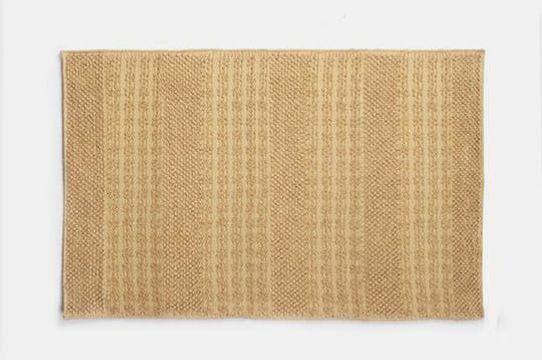 “This is a go-to, easygoing rug that’s kid friendly,” according to Lameraner. 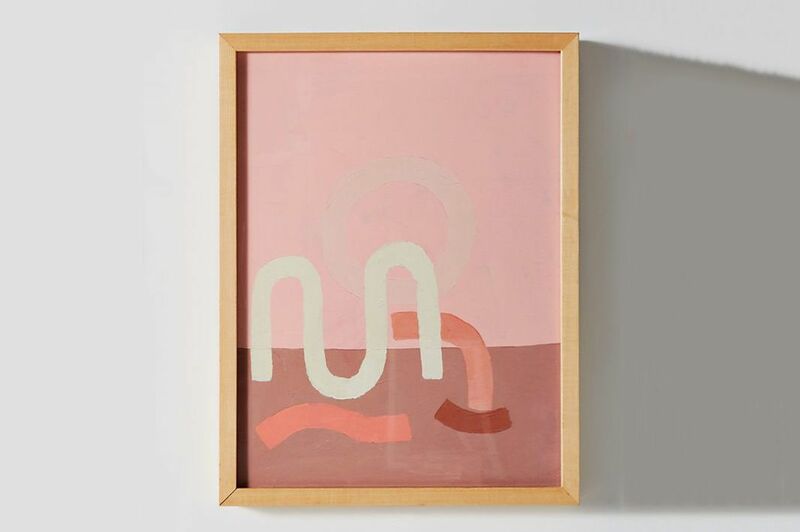 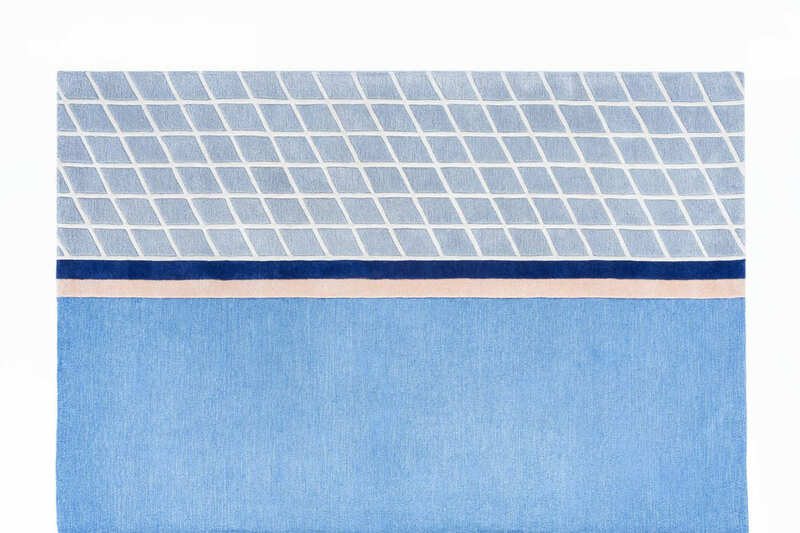 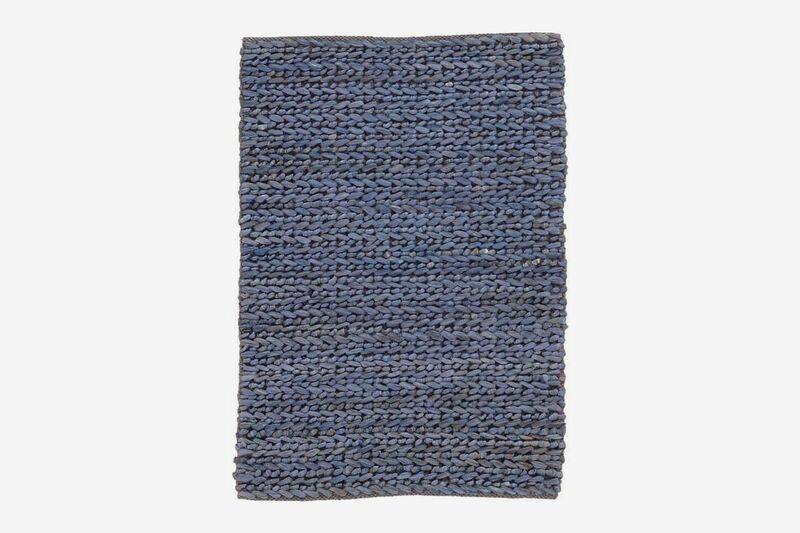 White Arrow’s Keren Richter likes these clever rugs by Brooklyn-based design company Pieces. 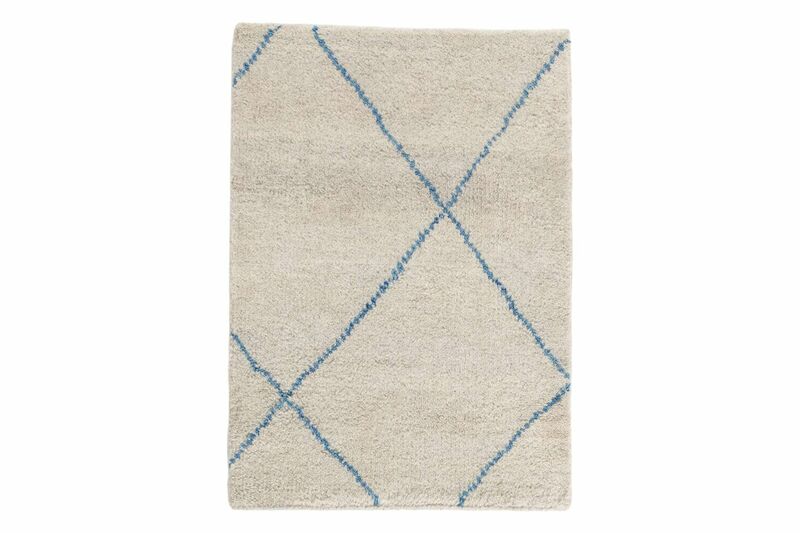 Try this area rug inspired by tennis courts. 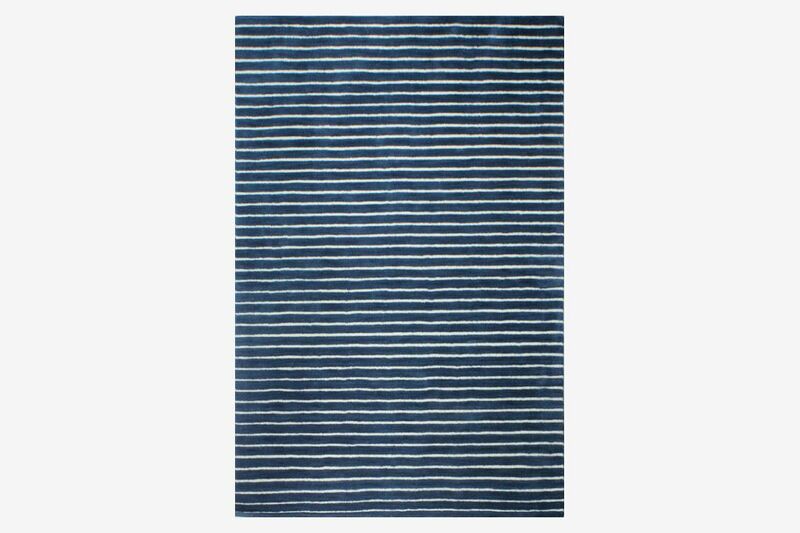 If stripes are your thing, try this patterned rug with a nautical feel to it. 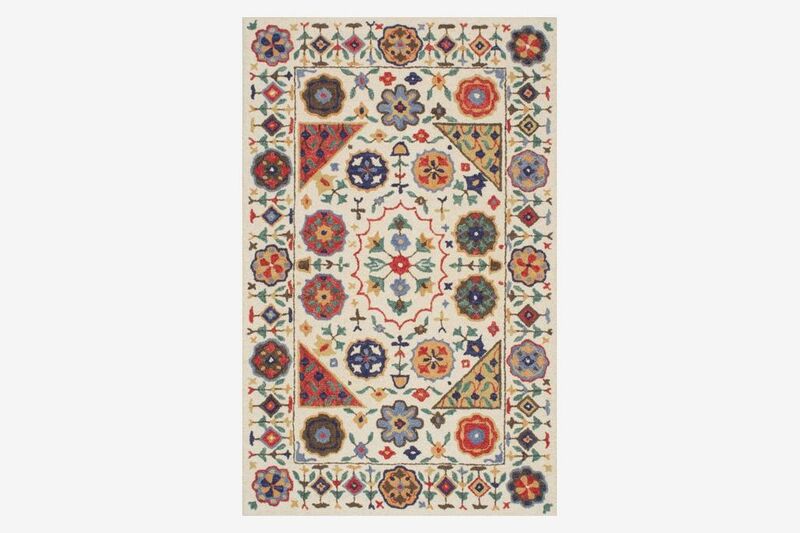 We love the floral designs on this hand-tufted rug, which is made from 100 percent wool, for an entryway or a small office. 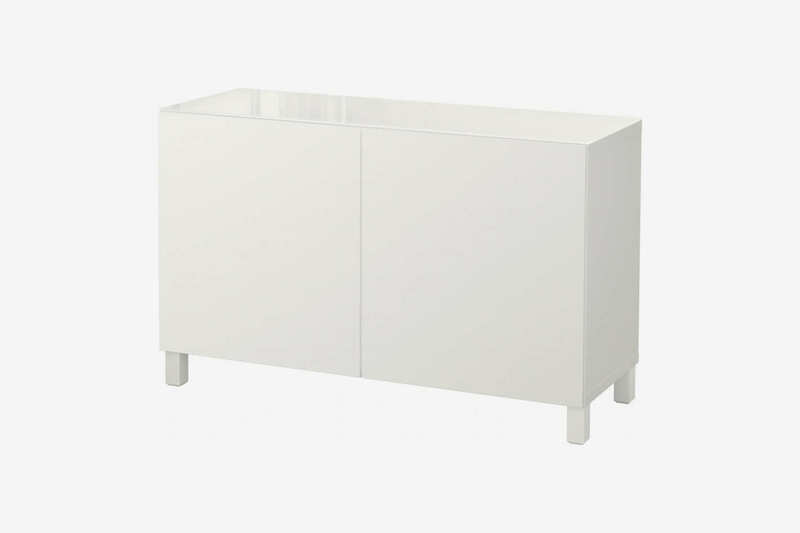 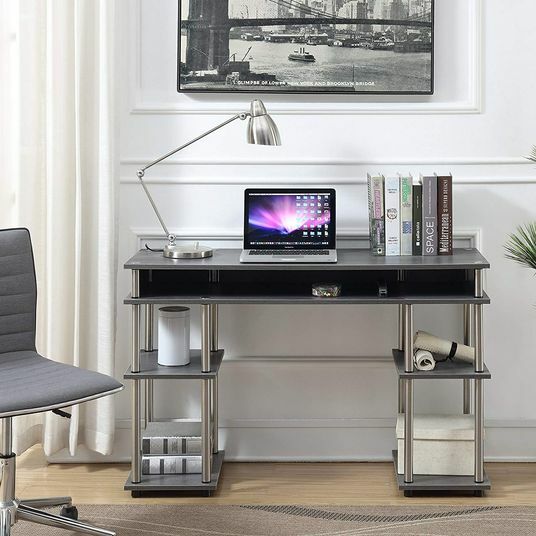 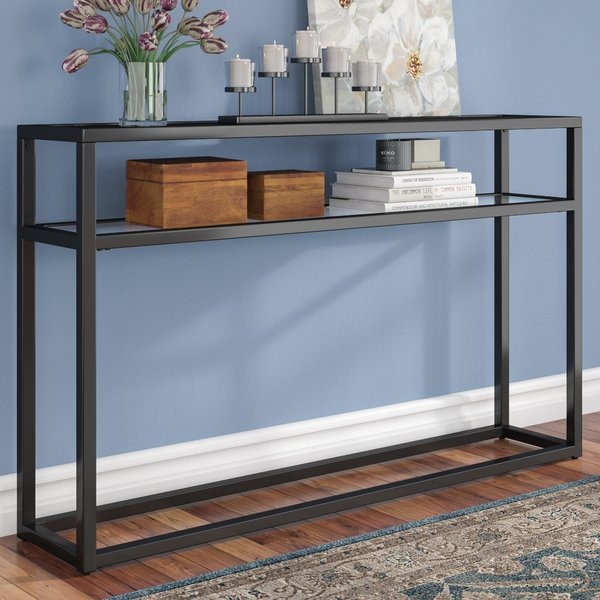 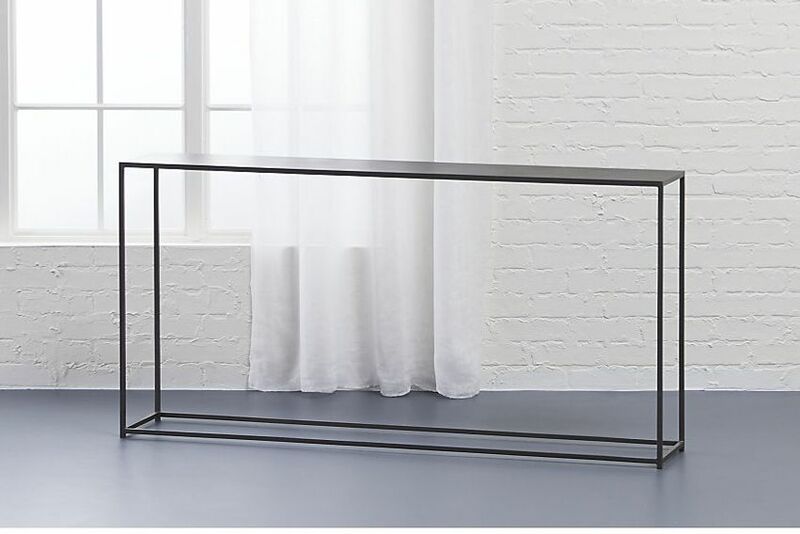 And another metallic console that would fit right into any modern interior — with the added bonus of an extra shelf. 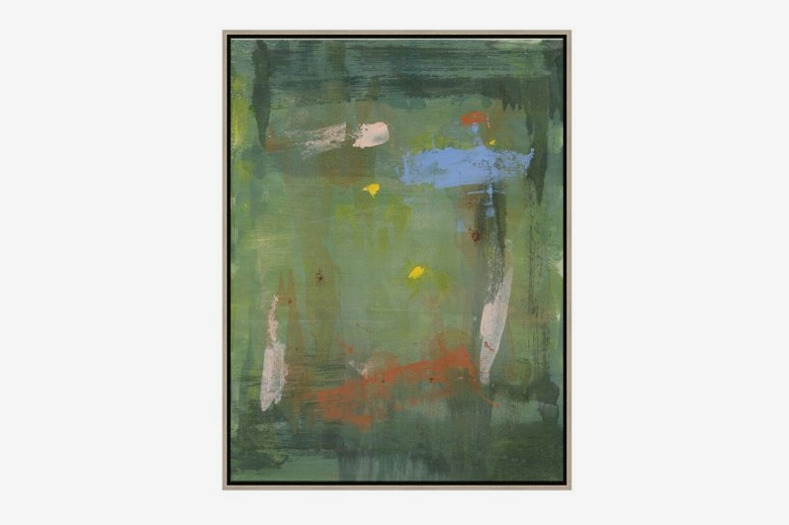 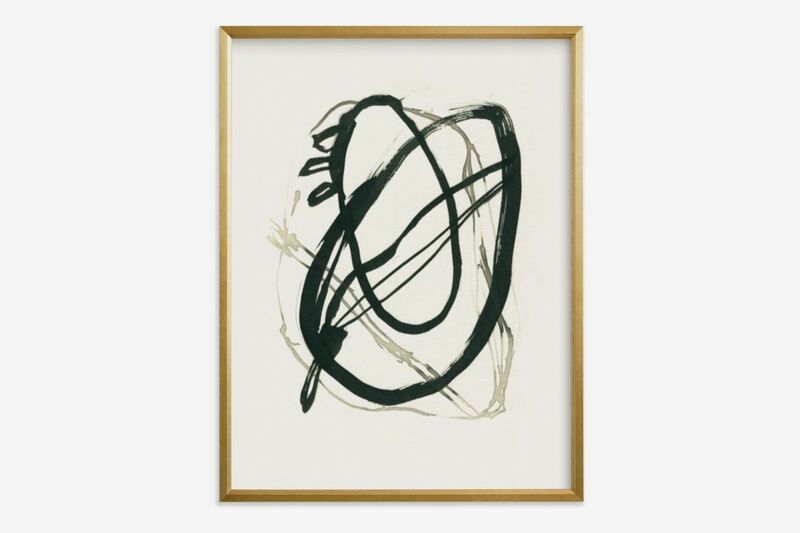 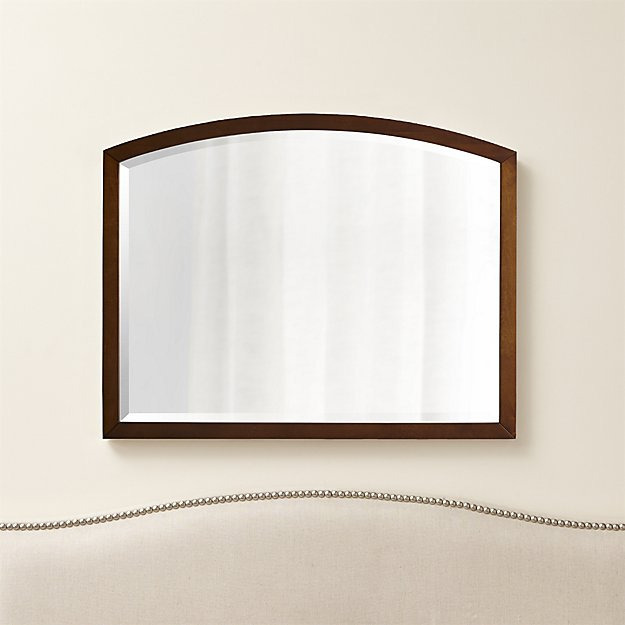 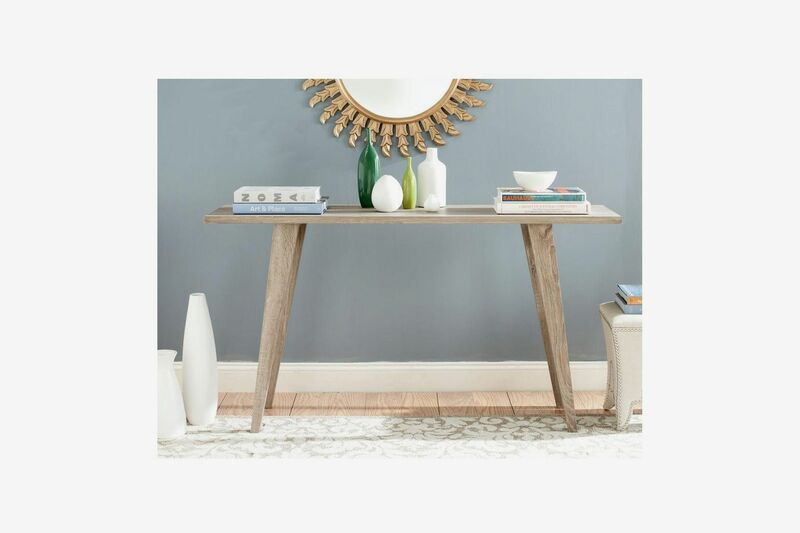 Here’s a petite version that comes highly rated on Wayfair. 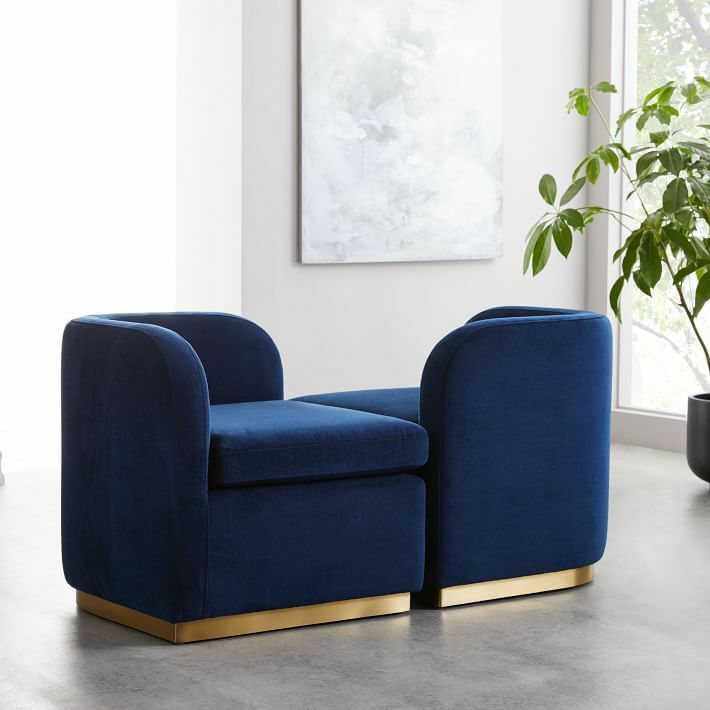 Broderic’s choice is West Elm’s Tete-A-Tete chair: “It is small, affordable, and covered in a great cobalt blue velvet.” Arrange two of them together to create a sofa or to use as standalone pieces. 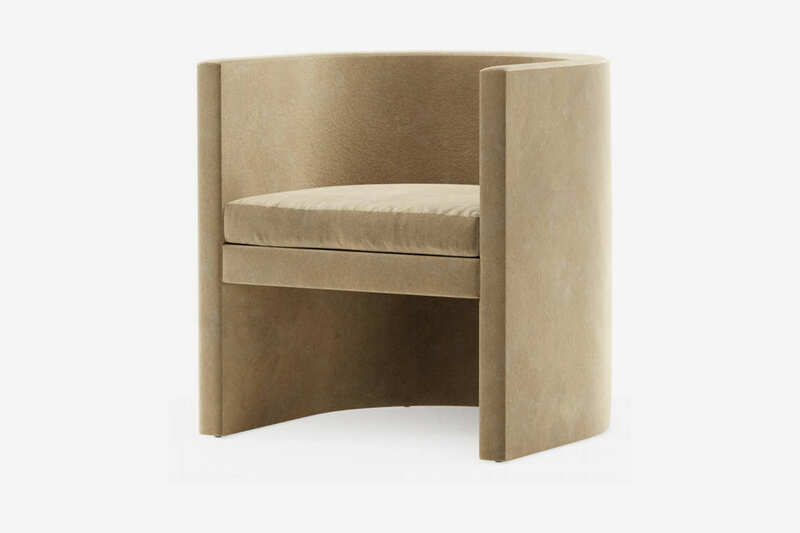 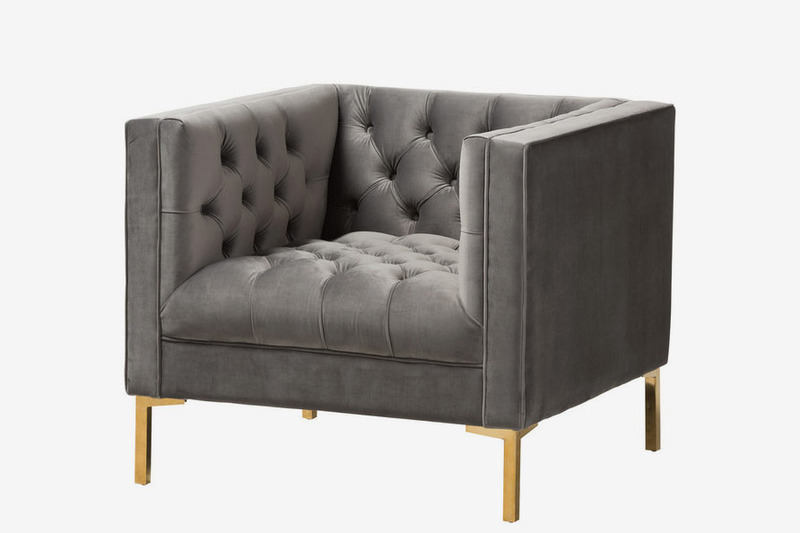 We like the Zanetta armchair for its clean lines and slate gray color — as well as for its gold-finished legs. 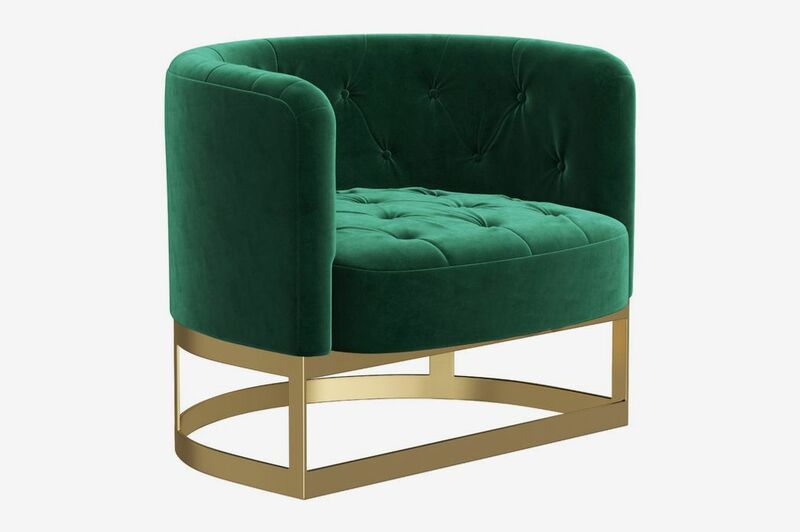 Or try this velvet chair in a sumptuous emerald green with brass finishes. 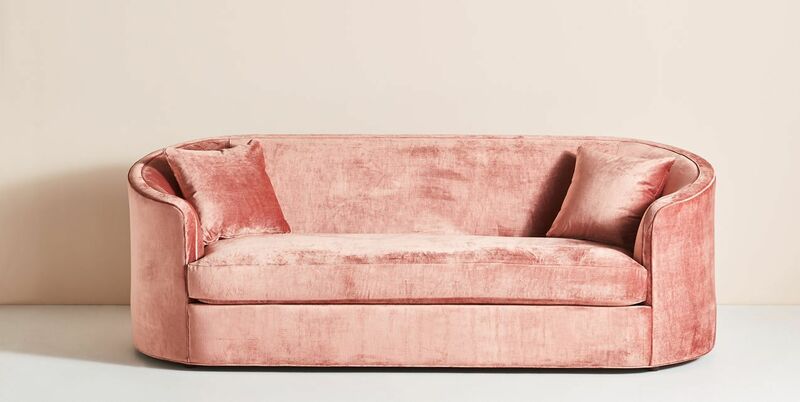 Add a pop of pink to your walls for a rosy look. 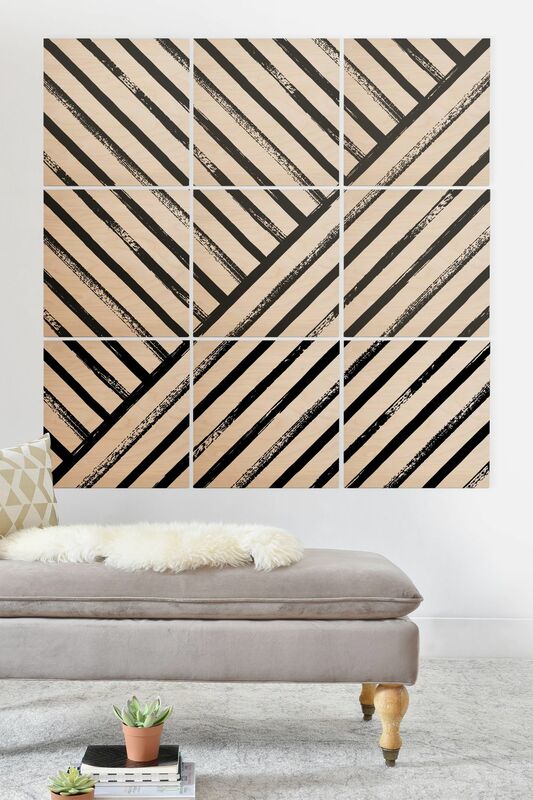 Brillantes loves wall murals from DenyDesigns, especially this one made up of nine 16-inch squares. 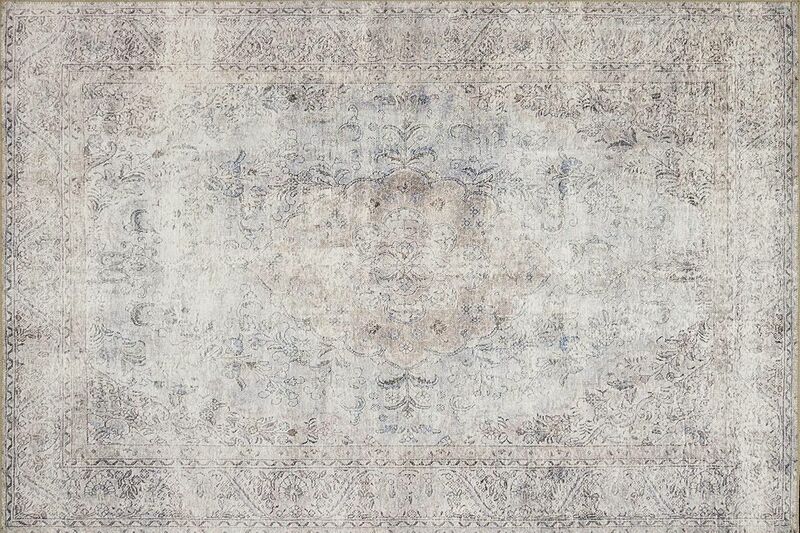 “The selection of prints and designs is basically limitless. 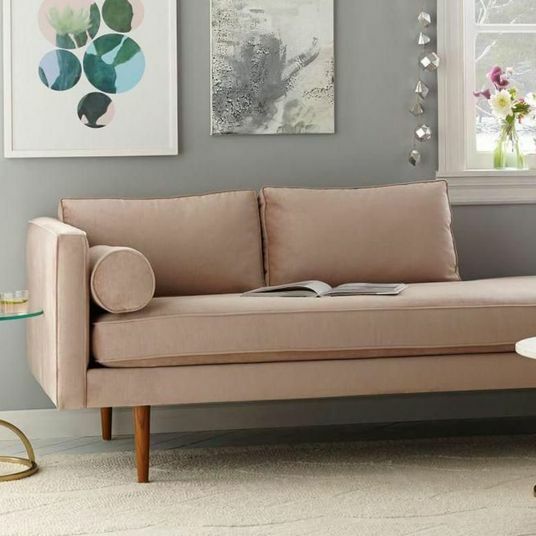 It’s a great way to cover a large empty wall, above a sofa for example, at a lower price point,” she says. 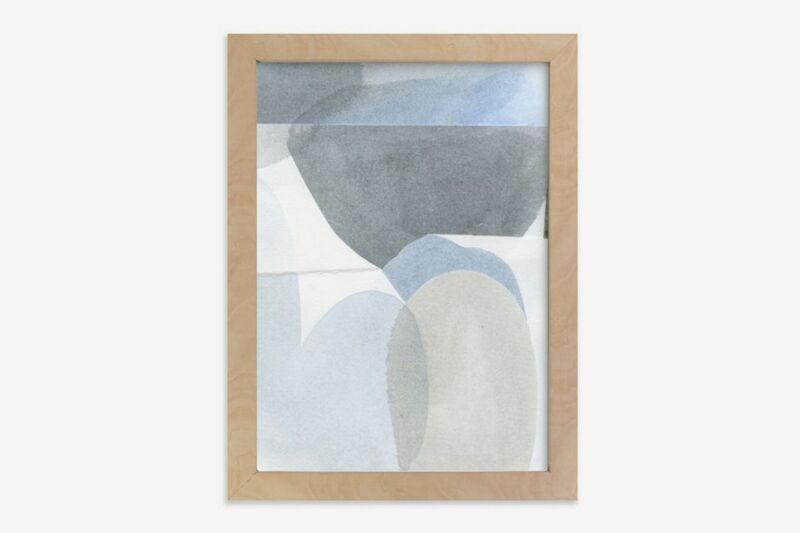 Or hang this color-blocked quilt to add a bit of texture and warmth to your walls. 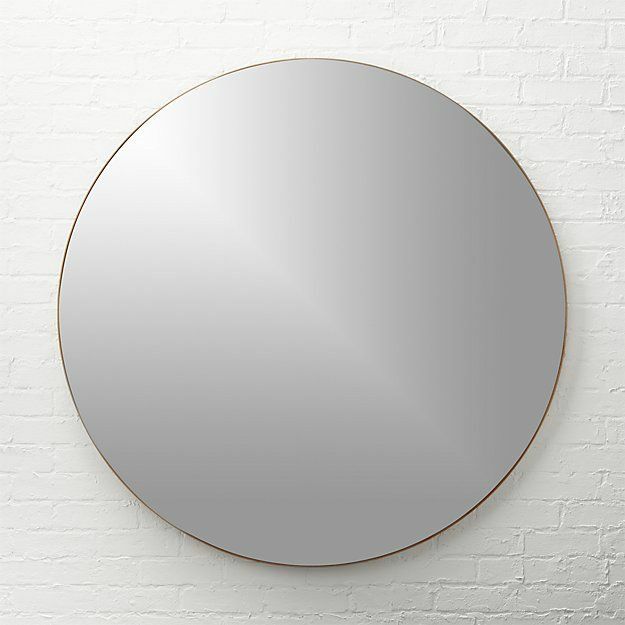 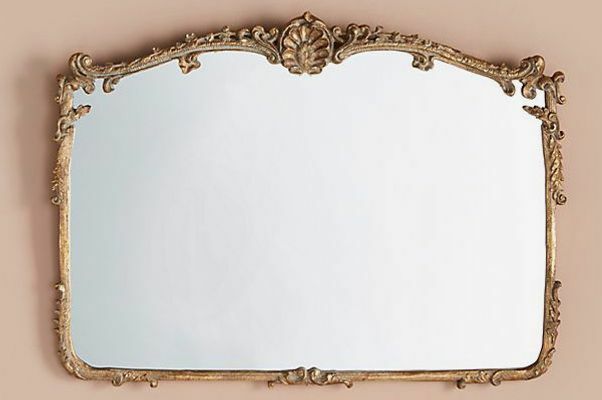 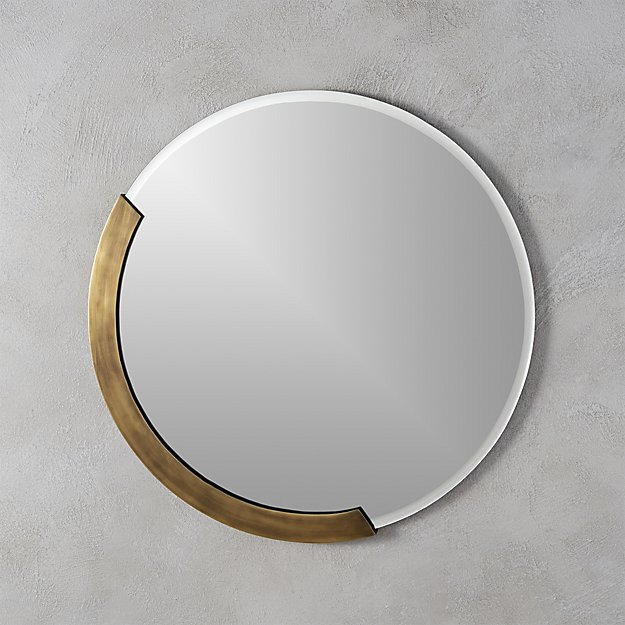 For something a little more French-château-in-the-countryside, try this faux gilded mirror above a mantel or a velvet sofa. 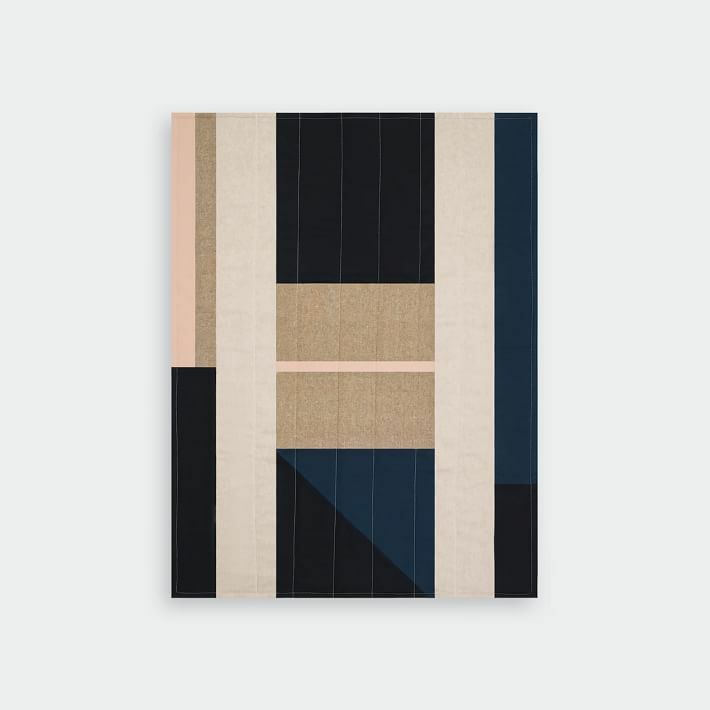 And here’s something suited for the Mid-century modernist.